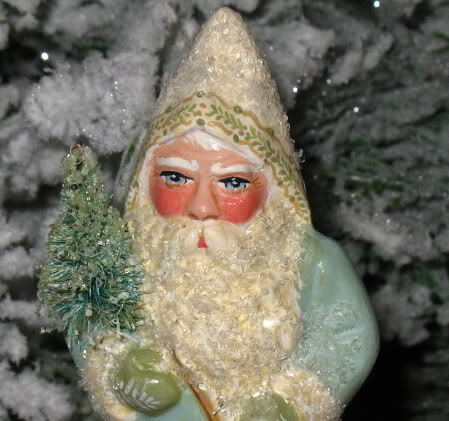 Bring a limited edition piece of New England folk art into your home for the Christmas holiday with this handcrafted Chalkware Santa. The art of molding plaster of paris, referred to as chalkware, into holiday treasures is a centuries-old German tradition. 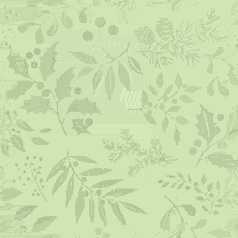 Inspired by the German tradition of folk art chalkware, Bittersweet House Folk Art offers a unique, hand-crafted treasure that will last a lifetime. Offered here is a special limited edition, handcrafted piece of Folk art by New England artist Kathryn Campbell of Bittersweet House Folk Art. Of special note: Cast in chalkware using an antique tin German chocolate candy mold. 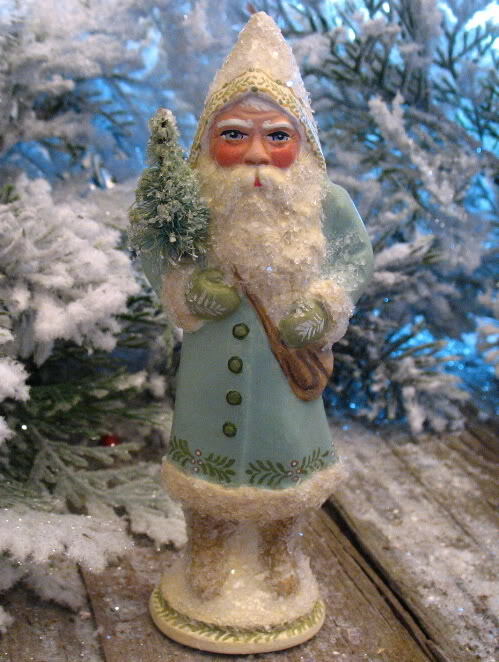 The Folk art santa figure is carrying a bottle brush tree and measures approx 5 3/4 inches; hand painted with an antique Victorian teal coat, trimmed with holly and tallow berries. The piece will be dated, numbered and hand signed " Bittersweet House Folk Art, Kathryn Campbell".